Use the "copy section" button as shown below to copy section content and formatting. 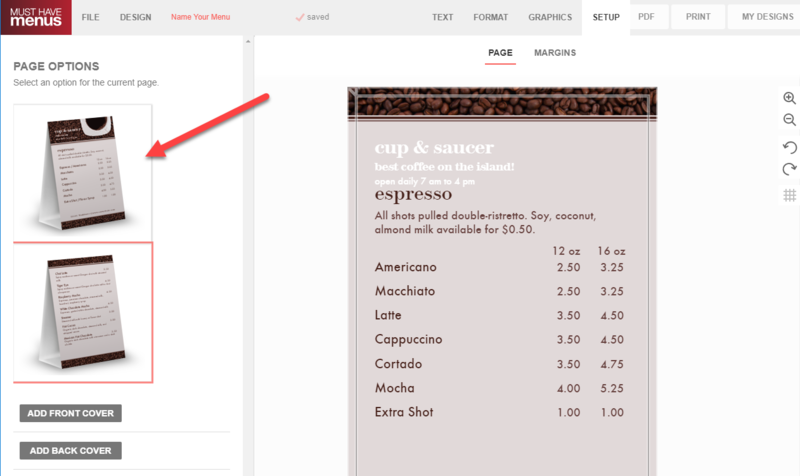 The copied section will automatically take position at the bottom of the Menu Sections list in the Text tab. Repeat this step for each section you would like duplicated. 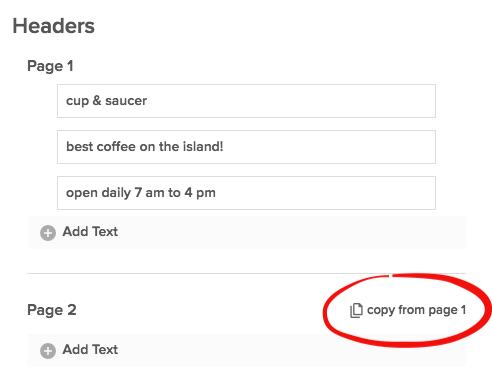 After your second page is created, use the "copy headers" feature to duplicate headers from page 1. The same can be done for footers. The second page background may vary from the first page. 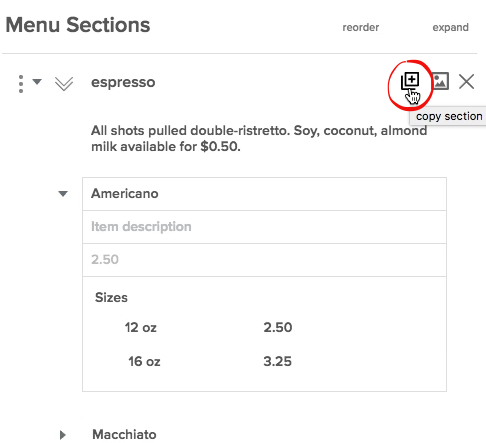 Each menu template has a default main page background and a second option that appears on each subsequent page. To switch the background, click the Setup tab then Page. Two page options will appear on the left. Select the background you'd like to appear.